Iraqi Kurdish demonstrators in Irbil protest the passage of a bill delaying the census in the disputed region of Kirkuk. Work on a new Iraq census was to begin in October. But Iraqi officials say they may postpone the project amid concerns it could lead to violence north of Baghdad where Arabs, Kurds, and Turkomans live. At the heart of the problem is a power struggle between Baghdad and Kurdish regional leaders over who will control disputed oil-rich areas in the northern part of the country that could be included in the autonomous Kurdistan region. A proposed election law also could be affected if the census is delayed, as well as the disbursement of budget funds to the semi-autonomous Kurdish region in the north. Iraq's last census was in 1997 under the rule of Saddam Hussein. But it did not cover the semi-autonomous areas in the north that have been under Kurdish control since the first Gulf War in 1991. The last census to cover those areas was in 1987. 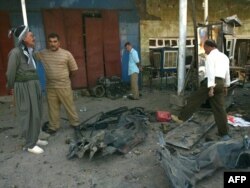 Kurdish leaders claim the northern city of Kirkuk as an ancestral capital. They want the oil-rich district around Kirkuk to be added to their semi-autonomous northern region. They also have claimed some parts of Nineveh Province that are not currently within the enclave. But many ethnic Turkish Turkomans and Arabs who live in those areas are opposed to being put under Kurdish rule. "Technically, we are very ready to do the census and we have completed all requirements for the census," Baban says. 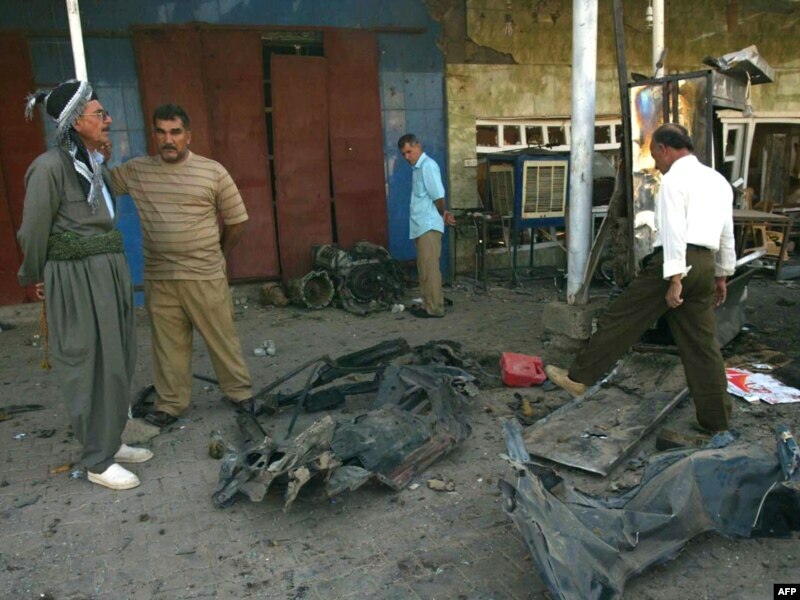 Kirkuk and northern Iraq have continued to suffer violent bombings and attacks while the rest of the country has seen them decline. "But we are listening to concerns and fears and reservations from some political parties about the census -- especially in Kirkuk and Nineveh -- because of political conditions and relations between the components. Such reservations may force us to pause in the implementation of the census and postpone it to another time." Mahdi al-Alak, who heads Iraq's Central Organization for Statistics and Information Technology, has proposed delaying the census until either April or October of next year. He says the Iraqi government will decide later which date is best. Luay Shabaneh, the United Nations' chief adviser on the Iraqi census, says it would be technically feasible to start census work between April and October of next year. But he says political bickering could cause further delays. "We need to look at the census in a balanced way. The census is not only [about] the Kurd-Arab distribution [of political and financial power]. The most important message that we have to deliver to the politicians is not to politicize the census because, if we do so, you will not be able to solve problems," Shabaneh says. "Political problems are solved by negotiations and not by numbers. Therefore, hiding the political problems behind the census will only harm development -- which touches the lives of the public." There is no census question that specifically asks about ethnicity. There also are no questions specifying whether a person is a Shi'ite or Sunni Muslim. Joost Hiltermann, the deputy program director of the International Crisis Group's Middle East and North Africa program, says that the census question with a potentially "incendiary" impact asks each Iraqi to name their mother tongue. "For Iraqis, this comes down to [a question about ethnicity.] If you say that your mother tongue is Kurdish, that means you are a Kurd. It, to them, amounts to an election or a referendum." Hiltermann says. "If you know that you have 'X' number of this ethnic group in a [particular] location, this means that you are entitled to 'X' amount of power proportionally in this same place." That makes the census very important in a province like Kirkuk, where the largest group in the census has historically won the right to govern. In the current situation, the census could have bearing on whether Kirkuk falls within the territory of the semi-autonomous Kurdistan region or not. "And the same could happen in other disputed territories -- including in Mosul." A new census also could alter budgetary allocations to the Kurdistan regional government from Baghdad. Some Arab lawmakers have argued that disbursements should be limited to 12 percent of Iraq's budget. But Kurdish officials have reached a deal under which they will continue to receive 17 percent of the budget until a proper census is conducted. "Every year when the budget is drafted in Iraq, there is a dispute over how much everyone should get. Now there is an agreement in principle that every governorate and region should get an amount of budget allocation that is proportional to its population size. For this you need a census." Hiltermann explains. "So the deal is, in fact, the Kurds will continue to receive 17 percent of the annual budget until a census is held that shows what the true size of the Kurdish population is inside the Kurdistan region. The share that the Kurds currently have -- 17 percent -- might well go down [after another census]. But if you listen to the Kurds, it would go up." Meanwhile, a proposed electoral law under debate in the Iraqi parliament also would need data from the new census to determine the distribution of political power in Iraq's different provinces. Under the proposed law, the way legislators are elected would change from the current "closed list" system, which allows political parties to assign individual spots on their party lists, to an "open list" system. Under the open list, voters would choose specific candidates from individual constituencies. "Some of the parties that did very well four years ago have no interest in changing the electoral law and the electoral system. They would want to maintain a closed-list system, which brought them to victory last time," Hiltermann says. "What is being discussed in the new electoral law is, in fact, an open-list system that would basically take the fate of the election results out of the hands of the parties that have controlled the government for now." Analysts conclude that Iraqi Prime Minister Nuri al-Maliki is more in favor of an open list because he thinks it will serve his purposes for now. But parties like the Shi'ite Islamic Supreme Council of Iraq, Kurdish parties, and others favor the old electoral law. Delaying the census would be a way to prevent the new electoral law from being implemented -- leaving the closed-list system in place by default. Who Controls The North's Wealth?